It was such a pleasure to work with Kristin, she really helped us every step of the way. She consistently went above and beyond. She is a wonderful source of knowledge when there are so many things that are easily overlooked or forgotten. She was there to make sure everything was taken care of every step of the way. It was a comfort knowing we had her helping us. 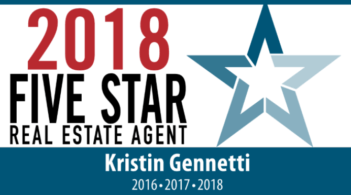 We would recommend Kristin to anyone looking to purchase a new home. Thank you Kristin!